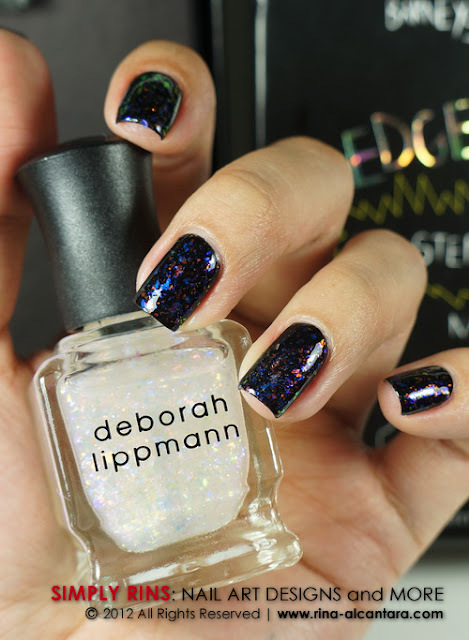 Last month, I blogged about Deborah Lippmann's Edge of Glory and how much I wanted to own one. Unfortunately, I've had a few bad experiences with international online shopping and so the Edge of Glory set remained in my wish list until Sol of Digital Traincase made it possible for me and other polish collectors or enthusiasts here in the country to grab one. This limited edition set was available at Digital Traincase early this month and I just got mine delivered last week! 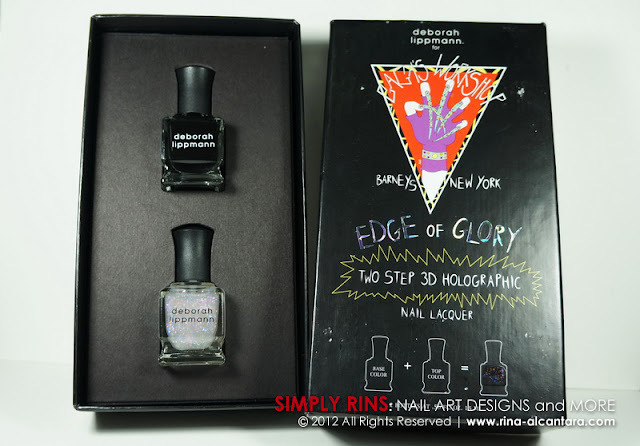 The Edge of Glory is a collaboration between Deborah Lippmann and Lady Gaga for the Gaga's Workshop at Barney's New York. It consists of 2 nail lacquers. One is a regular polish in black and the other is a 3D holographic glitter polish. It comes in a unique hard board packaging that actually made me want the set even more. The regular nail lacquer is a basic black that has a very shiny finish even without a top coat. I could see myself wearing it without the holographic top coat. Application is easy and opaque in 2 coats. The top coat is a holographic glitter that gives a 3D effect on your nails, especially when hit by light. On my nails, it gives a more purplish look. The holographic top coat is versatile and can be used with other nail lacquers. One could already see the play of colors inside the bottle but could only truly appreciate it once applied. Deborah Lippmann Edge of Glory originally retails for $45 and later at $29 at Barney's New York. 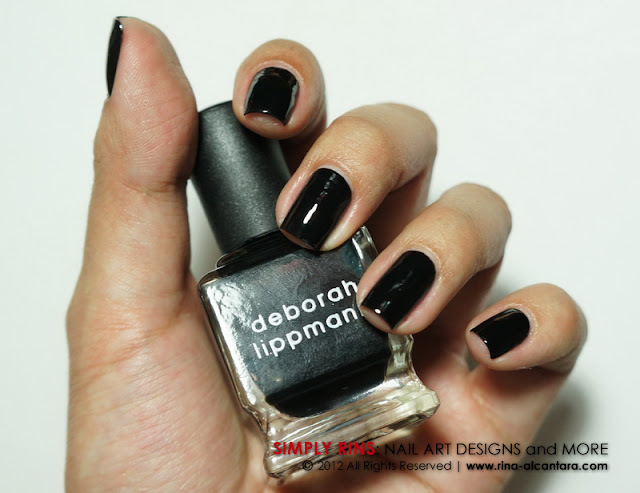 If you are a nail polish collector or simply love Deborah Lippmann (like myself), you would surely love to have this limited edition on your helmer or stash. If you are here in the Philippines and would love to purchase the Edge of Glory, there are a few more available at Digital Traincase that you can order here. It retails for Php1900 per set or approximately $45. The price is already inclusive of taxes and shipping expense to bring these babies over here. That is actually a very good deal by my book. Gorgeous - it looks great on you. Glad you were able to get the set and share it with us! But I wouldn't care, because it looks gorgeous! Hosting can be a adequately big-ticket proposition, so it's important to accomplish abiding that any amalgamation you buy has what you charge to advice your business grow. Generally speaking, you don't demand to go with the atomic big-ticket hosting amalgamation you can get. The hosting amalgamation you acquirement database backup should leave abundant deejay amplitude and added assets to board accelerated advance in your business. Web pages accept a way of accepting bigger actual quickly.